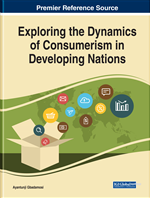 The chapter explores the growing importance of children as consumers. The chapter would first discuss the importance, growth, and views on consumer socialization theory. The chapter would then take the discussion forward by introducing the change in the role of children not just as learners but as influencers. This section of the chapter concludes by initiating a discussion to understand the similarity and differences in the two theories: consumer socialization and reverse socialization. The theoretical overview provides the researchers a premise to integrate consumer socialization theory and reverse socialization to understand how children and parents acquire learning properties to be a consumer. Based on the two theories, a conceptual model was developed by the author to understand and indicate the process of children and parents becoming consumers. The chapter further discusses the changing social and economic scenario in developing nations with a special focus on India. Some adjectives used to describe children in the past have traditionally been cute, intelligent, innocent, and naughty among others. Society did not associate the word Consumer with children. Even the marketing world did not see any consumer segment in that group. The interest of the marketers was restricted in knowing and understanding how children learnt consumer skills, acquired market knowledge and became consumers when they grow up. This curiosity, inquisitiveness helped in the development of Consumer Socialization (Ward, 1974) or “the process by which children acquire skills and knowledge to become consumers”. Substantial literature on this topic has proved that family, peers and media are important socialization agents (Hota & McGuiggan, 2006; Ghazali, 2011; Minahan & Huddleston, 2010; Fan & Li, 2009) Age too has been identified as an important cognitive factor (Roedder, 1999). Role of family as a socialization agent has been emphasized time and again. The process was unidirectional and children were assumed to have a passive role in the process. Their role was defined and restricted as only learners. Socio-Oriented Communication: A type of family communication which encourages children to avoid conflict and discourages them from discussions/debates with elders. Reverse Socialization: It is the process by which children influence parents and help them relearn and reacquire skills to become consumers. Family Communication: It is the way in which information is shared among family members. Consumer Socialization: It is the process by which children acquire necessary skills to become consumers. Concept-Oriented Communication: A type of family communication that encourages children to ask questions and share their views with elders.